The Group of 20 nations is planning to say that it’s capable of dealing with the economic fallout of Britain’s vote to leave the European Union, according to a draft statement. “Members of the G-20 are well positioned to proactively address the potential economic and financial consequences stemming from the U.K. referendum,” according to a draft communique seen by Bloomberg News. The document was being discussed by deputies on Friday ahead of a meeting of finance ministers and central bank governors and will be revised over the next two days. Delegates from the world’s largest developed and emerging-market economies are gathering this weekend in Chengdu, China, to address issues ranging from recent terrorist attacks to the deteriorating global growth outlook. Economic prospects were dimmed additionally by Britain’s vote to leave the EU. The group is expected to reiterate pledges to consult closely on currency markets and to refrain from protectionist measures. “We reaffirm our previous exchange-rate commitments including that we will refrain from competitive devaluations and we will not target our exchange rates for competitive purposes,” the draft said. 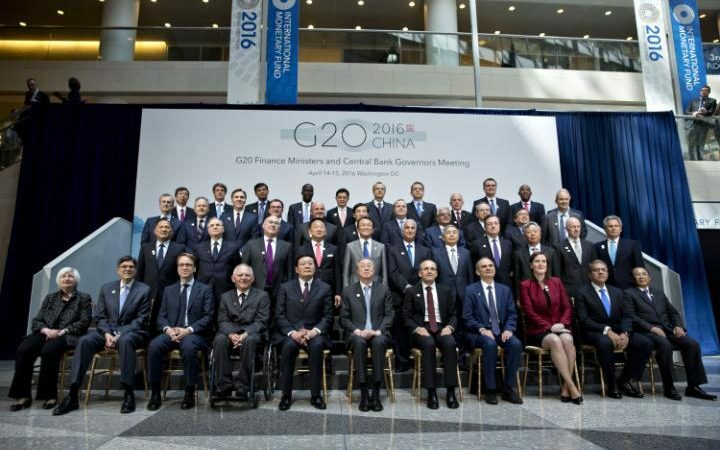 The G-20 also plans to stress the need for an “open and resilient financial system” in light of recent turbulence in financial markets and to express its commitment to finalize critical elements of the regulatory framework.